The move comes on the heels of the Notre Dame Cathedral fire. SAINT PAUL, Minn. — Following a devastating fire at the Notre Dame Cathedral in Paris, the Cathedral of Saint Paul is reviewing its own fire and emergency practices. 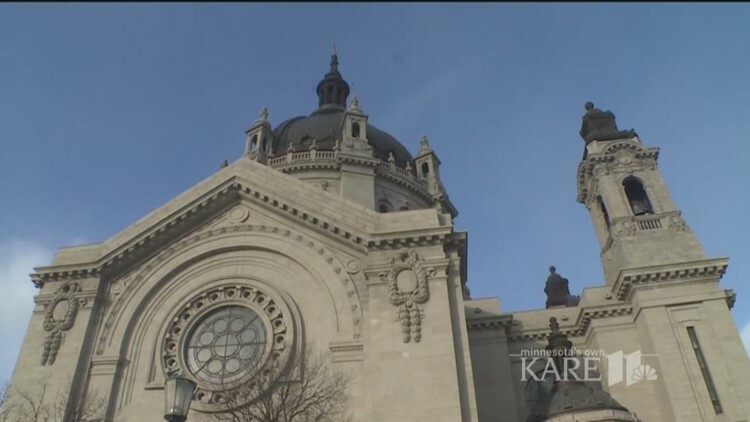 According to a spokesperson with the church, the Cathedral of Saint Paul is working with the Saint Paul Fire Department and other organizations to "minimize any fire and safety risks." The 104-year-old church does not have a sprinkler system installed for its copper dome, which was last restored nineteen years ago by McGough Construction.